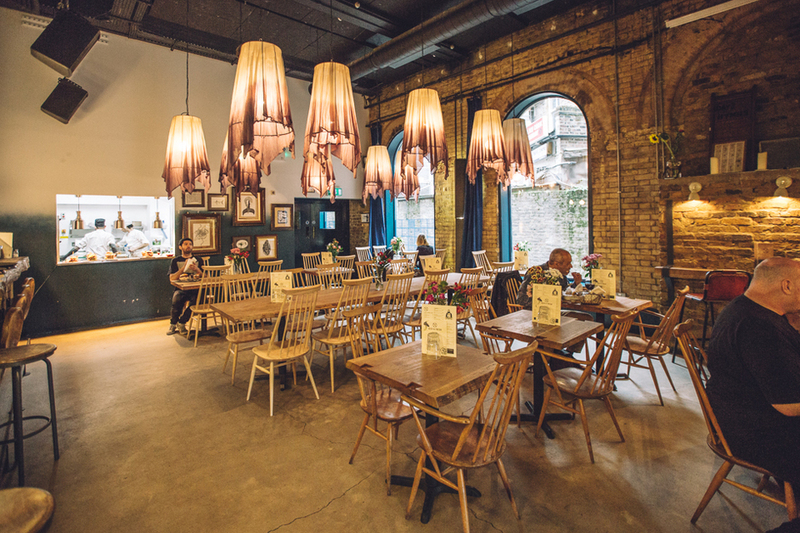 Situated next to Hackney Central Station on Amhurst Road, Oslo is a Nordic inspired music and dining destination with capacity of up to 600 over two floors. The venue has been designed as both a daytime hub to meet and eat - it's a burger and some brews sort of place - and a night time destination for clubbing. Its weekly club night 'Valhalla' kicks off upstairs at 10pm while in the first few weeks of opening there were gigs from Dry the River, Chrome Hoof and Indiana. Downstairs the extensive bar includes handpicked ales from local breweries such as Redemption, Five Point's and Sambrook's, alongside top quality wine and spirits, while the menu has been designed by Oslo head chef Dave Ahern, formerly of House of Wolf. The pop quartet from New York performs in support of its debut album, Guppy. One to watch, the 22-year-old Norwegian vocalist kick-started his career in 2017 with the critically acclaimed All Your Love. This London-based band plays self-penned alternative rock songs with a psych twist. Oslo gyms, sporting activities, health & beauty and fitness. The best pubs near London Oslo. Oslo clubs, bars, cabaret nights, casinos and interesting nightlife. Where to have your meeting, conference, exhibition, private dining or training course near Oslo. From cheap budget places to stay to luxury 5 star hotels see our special offers for Oslo hotels, including Courthouse Hotel Shoreditch from 80% off.